Best Dental Clinic in Kankarbagh, Patna. Dr. Shivendra Choudhary is well popular as Best Maxillofacial Surgeon in Kankarbagh, Patna. Best Clinic for RCT (Root canal Treatment, Dental Implant, Teeth removal and correction in Patna. 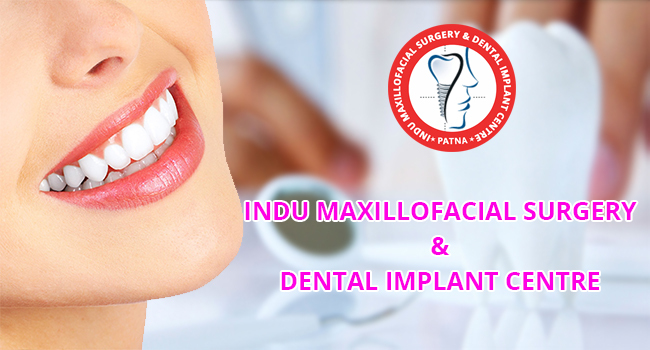 Maxillofacial surgery in Patna is now a truth and being provided at Indu Maxillofacial Surgery and dental implant clinic in Kankarbagh, Patna by Dr. Shivendra Choudhary who himself is a best dental surgeon and an Ex-Assistant Professor of Manipal College of Dental Sciences, Manipal. He is a life member of Indian Dental association. Our infrastructure and technology ensures our patients best treatment for their oral problems. Dr. Shivendra Choudhary, who is quite popular as best surgeon in Patna, is having life membership of Association of Maxillofacial Surgeon of India. He is also a member of Association of Cranio Maxillofacial Surgeons. Have you been ever to our centre ? If no, then visit once. Undoubtedly you will find it as the best centre for oral treatment. Quality and affordable treatment is our motto which differentiates us from other doctors. With latest technology and instruments, we provide treatments of Mouth, Teeth and Jaws (facial) related problems effectively. You can consult our doctor from Monday to Saturay – 03 PM to 08 PM at our clinic in kankarbagh, patna. Dr. shivendra Choudhary is an associate professor at PMCH Patna and he is PG certified in advanced oral implantology from manipal. He has degrees like BDS, MDS (Oral and Maxillofacial Surgery – Manipal). He has more than 10 years Post MDS experience. Apart from Patna, Dr. Shivendra Choudhary is providing his services in Saharsa district of Bihar. If you are residing in Saharsa, Purnea or any nearby district in Koshi region then you can book appointments and take advice with best treatment of dental realated problems here. He is available at his clinic located at Koshi chowk, Gautam nagar, Saharsa, Bihar on 1st and 3rd Sunday of every month. Call and book appointments at 8544002272 or visit our dental implant centre in Kankarbagh Patna.